The Amish, also known as Amish Mennonites, are members of religious communities (an Anabaptist Christian denomination) found primarily within the U.S. They are known for their traditional values and simple lifestyle, particularly their avoidance of modern technology. For example, they travel in a horse and buggy instead of a car and wear simple, old-fashioned clothing. During the late 17th century, a group of individuals in Switzerland led by Jakob Ammann broke away from their Mennonite church. The main reason for this split was their disagreement over handling the enforcement of the church's policies. Ammann and his devout followers felt the church was not strict enough in their "shunning" of church members who do not follow the rules. The new church was officially created in 1693 and its followers are known as Amish, after their leader. The Amish began migrating to the U.S. in the 18th century, and that is where they are predominately found today. 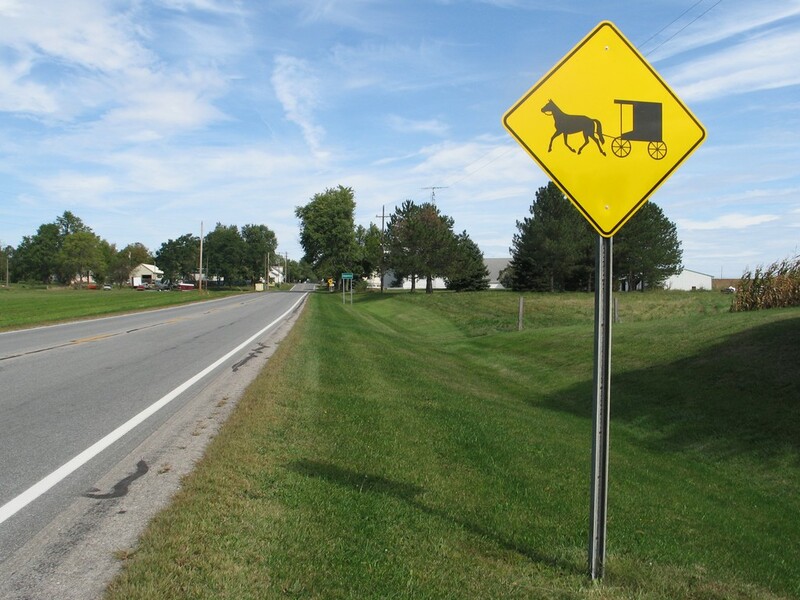 About 80% of The Amish population is located in Pennsylvania, Ohio and Indiana, though Amish communities can be found in many other U.S. states, as well as Canada and parts of Central America. The current Amish population is about 281,675 and is growing, as families tend to have many children. The Amish lifestyle is dictated by what is called "Ordnung," the list of rules for the community. It emphasizes separation from the outside world, humility and family values and also details everything from farming techniques to appropriate hair length and clothing styles. The communities are self-sufficient and value manual labor. The men usually farm, while women are expected to handle the cooking and cleaning. The Ordnung is not the same in every community, as some follow a more rigid one and others more flexible. For example, some allow riding in cars but never owning them. Others forbid use of cars and will not use any type of electricity at all. The Amish are educated in one-room schools run by the community that teach traditional subjects (reading and math) and also Amish history and values. The Amish way of life is certainly affected by the modern world. Many Amish communities have felt pressure, and some aspects of their lives have come into conflict with the outside world and government. Some of these issues include education, since the Amish do not educate past the 8th grade (13-14 years old) and taxation; Amish pay sales and property tax but not Social Security-related taxes. A rite of passage called "Rumspringa" ("running around" in Pennsylvania German) is a period in which Amish adolescents (14-16) are exposed to life outside of their communities. They temporarily leave the community to experience the world. Rumspringa comes to an end when the individual decides either to become baptized within the Amish church or to leave the community permanently. The majority (about 90 percent) will return and marry someone in the Amish community, continuing centuries of tradition.